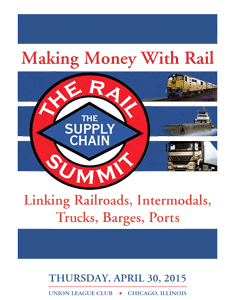 We are very pleased to report that The 2015 Rail Supply Chain Summit on Thursday, April 30, 2015, held at the Union League Club in Chicago was once again a sold-out event. 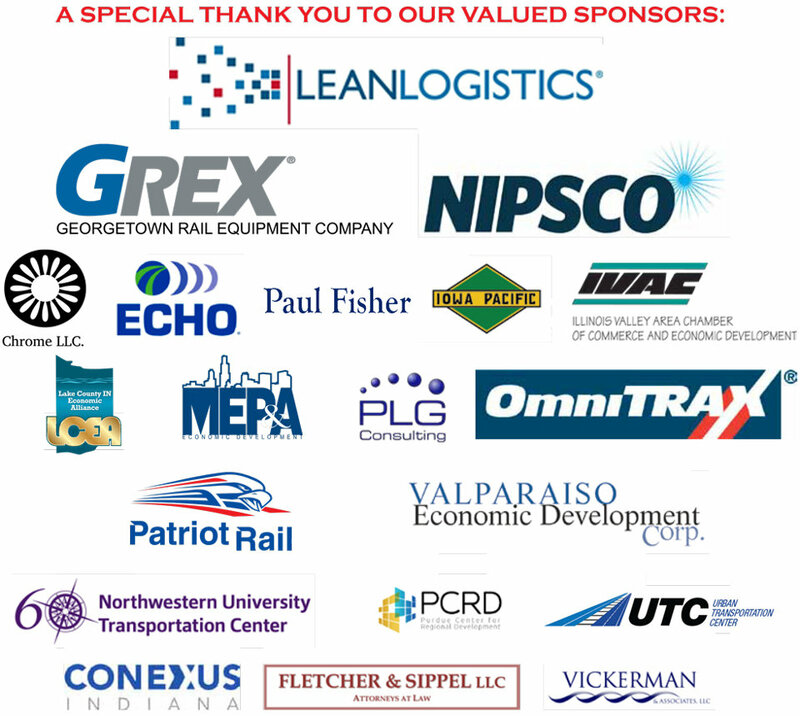 I would like to extend a special thank you to all our valued sponsors, speakers, panelists, and participants who contributed to the overwhelming success of the 2015 Summit. practical, profitable reasons for Safety as no.1 priority. Below are the 2015 Program Books as well as a list of some of the participating companies. Since more than 97% of our participants are invited by sponsors and corporations buying multiple tables, we do not have a complete list of all participating corporations and organizations. While the VIP Dinner for Speakers and Top Sponsors is limited to 36, the program the next day has traditionally been limited to 300 participants and has been sold out for five consecutive years. The afternoon Breakout Sessions were followed by a Thank You Reception, a tradition that we will continue in 2016. In one of the afternoon Breakout Sessions, GREX/SENSR presented their state-of-the-art bridge monitoring solution which is as innovative as it is practical. With the success of the Breakout Sessions, we are considering expanding the sessions in 2016 due to an unprecedented number of requests from participants to do so. Because we have had more than 200 requests to have John Vickerman speak again in 2016, he will be returning as one of the Keynote Speakers for the 2016 Summit. 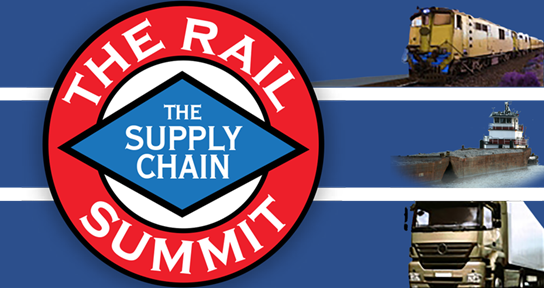 If you have additional suggestions or comments for 2016 or are interested in becoming a sponsor, would you kindly contact me at MEPitz@TheRailSummit.com, or call 312-750-9150. Until December 31, 2016, you will qualify for an early bird discount with a registration fee of $310 which includes Keynote Speakers, VIP Panels, Breakout Sessions, Breakfast, Lunch, and a Closing Reception. As of January 15, 2016, the registration fee for 2016 will be $335. We look forward to welcoming you to the 2016 Summit on Wednesday, June 15, 2016 at the Union League Club in Chicago beginning promptly with Registration at 7:15 AM and ending with a Thank You Reception at 5:00 PM. 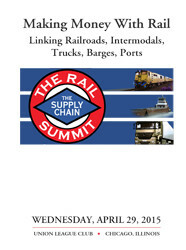 Bowman Barrett & Associates Harbour Construction Rail World Inc.
Cawley Chicago Real Estate IDOT Scudder, Inc.
CBRE Illinois Cement Seaways, Inc.
Commercial In-Sites Lake County IN Economic Alliance Unytite, Inc.
CSX Lotz Trucking Valparaiso Ecnomic Development Corp.